It’s often via interactions with customers that we come to appreciate the stories behind some of the treasures in our collections. 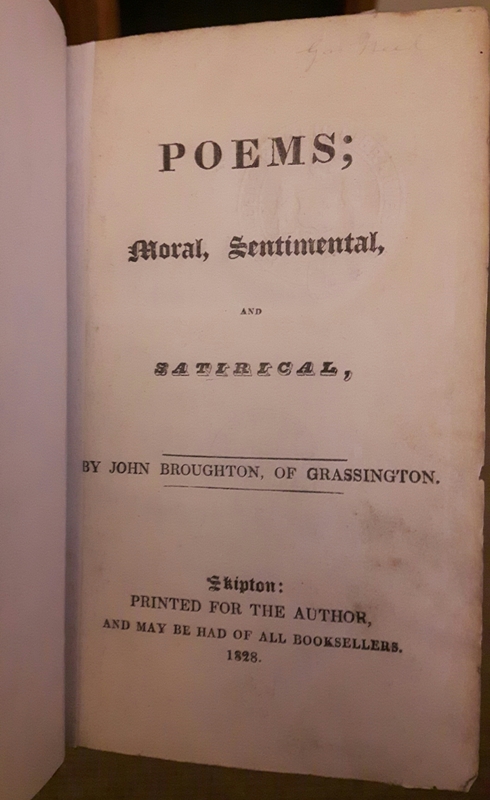 One we’ve recently discovered a little more about – thanks to the correspondence of the author’s great-great-granddaughter – is the 1828 book, Poems; Moral, Sentimental and Satirical. John Broughton, a Scotsman by birth, a stone-mason by trade, and a schoolmaster by profession, was bass-singer at the Congregational Chapel for many years. It is said that his eccentricities caused much amusement to the younger members of the choir. When he lost his word, he substituted, aloud, such monosyllables as “Wo wo lol lol,” etc., in which he could see no impropriety. His grave is said to be in front of the far door of the Chapel, but the burial register contains no date, only the name; no headstone marks his resting-place. His self-published, 90-page book appears to be rare, and it’s quite likely that we have one of the only copies in existence. The poetry inside covers a range of topics. On the ‘moral and sentimental’ side, we have reflective pieces such as On Hearing Sheep Bleat and To the Rainbow, many extolling good character and the worship of God; in the slimmer ‘satirical’ section, there are titles like Address to Satan and An Address to the House of Commons. Several other poems recount travels and events of the time, including A Walk by the River Wharf, A Tour to Blackpool and On New Year’s Day, 1827 – and it’s these that perhaps hold the most interest from a historical point of view. The first of our approach. That pockets had been pick’d. Their stinking ale and saucy pride. That was not worth one pin. With horses, mules, and asses. To sell the wares they’ve got. Poetry of this kind is an enjoyably offbeat way of experiencing the geography of the past – completely different to perusing a map and more vivid even than looking through my usual favourite window on history, old newspapers. I’ll leave you with a short critical review of Broughton’s poetry from Rambles in Upper Wharfedale (1869) by Bailey John Harker, who quotes a poem also mentioned in the aforementioned History of the Dales Congregational Churches. Is it, I wonder, Broughton’s most highly-regarded effort? Or simply the only one you’ll come across outside the pages of our treasured little book? And shall eternally with noblest praises burn. Poems; Moral, Sentimental and Satirical is kept in our strongroom at shelfmark SR 821.7 BRO. 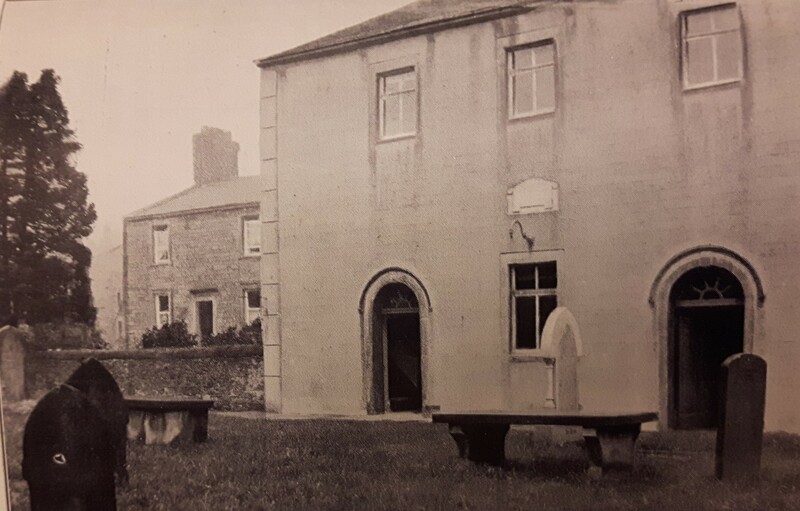 History of the Dales Congregational Churches is in Local and Family History at Yorkshire 285.8 WHI; as is Rambles in Upper Wharfedale, at Yorkshire WHA 942.